• Rub the chops with the oil and curry paste, sprinkle with the cumin seeds and squeeze over the lemon juice. Make the salad by combining all the remaining ingredients. 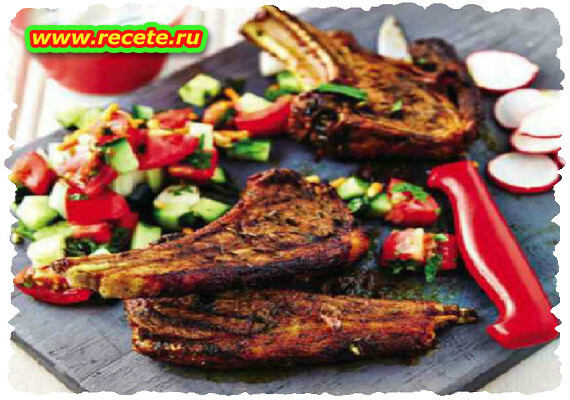 • Grill the chops over medium-hot coals for 3 minutes a side (a couple more if you like them well done). Rest covered for a few minutes before tucking in. Serve with the salad, a yoghurt dressing or store-bought tzatziki and rolls.